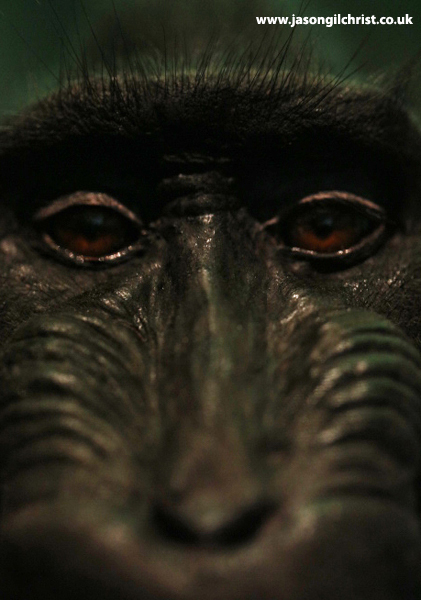 Monkey Business, a new and world-first primate exhibition opens at the National Museum of Scotland today. The exhibition, showcasing the diversity, ecology, and threats to the world’s primates, was the inspiration for an article published in The Conservation today – Dawn of 'Trumpocene' era spells disaster for world's primates. 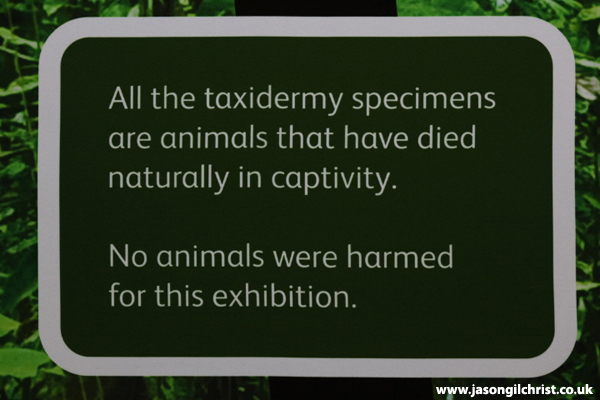 I visited the exhibition prior to opening to take in the sights (and sounds) of the 60+ apes, monkeys, bush-babies, lorises, and lemurs showcased with taxidermy specimens (of individual zoo animals that died in captivity: no animals were killed for the exhibition). Alongside the informative interpretation and naturalistic setting (you are immersed in the greenery of the painted leaves of tropical jungle and even the exhibit case ceilings have back-lit canopy photos), the primates are behaving. 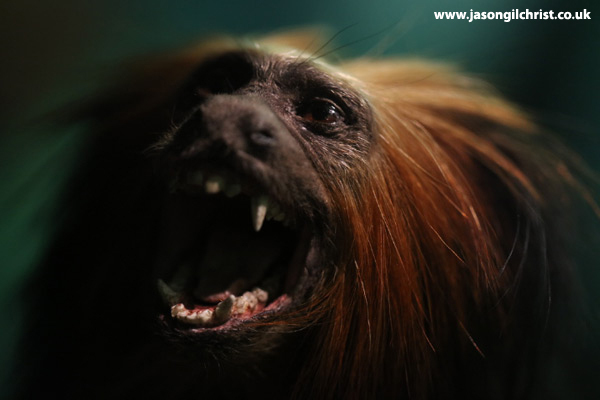 An aye-aye is seen inserting its unfeasibly long thin index finger into a hole to extract a beetle grub, a capuchin holds a rock above its head seemingly about to crash down to break open a nut, and a pair of baby emperor tamarins cling to their father. There is even an impressive climbing frame that would be suitable enrichment within any Zoo primate enclosure, except this one is for the kids to play on. In short, the exhibition is informative and fun and therefore attractive to all ages. 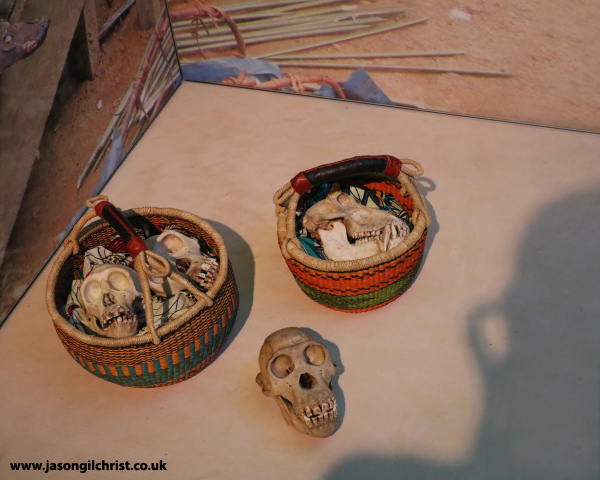 Importantly, in addition to the behavioural ecology, the exhibition highlights the evolution of and within the Primata, and the threats to our primates today. Deforestation, hunting, and climate change are the principal drivers of endangerment of many of our mammalian relatives. It is these threats, worryingly exacerbated by recent political events, that I consider in my article. I have been privileged, as a behavioural ecologist I have studied the grey mouse lemur in Kirindy Forest, Madagascar, and the chimpanzee in Kibale National Park, Uganda. I have met a variety of other primates at those study sites. Memorable amongst them are Verraux’s sifaka, the red-fronted brown lemur (boring name for a very inquisitive animal), and the not-very-kindly named fat-tailed dwarf (lemur) in Madagascar, and red-tailed guenons, black and white colobus, and bush-babies in Uganda. 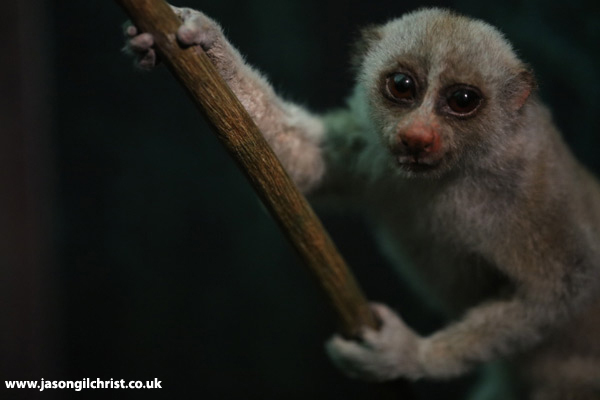 I have also been privileged to see the world’s smallest and largest primates in their natural environments (read my article to find out what they are). Primates are not just interesting, they are also important. In many forest ecosystems, they play the role of keystone species, meaning that they promote biodiversity and make a major contribution to the functioning of the ecosystem that they inhabit. See dispersal is one of the key roles that they occupy, and in Madagascar alone, scientists have recently identified an entire family of endemic plants (unique to Madagascar) that are ‘orphans’. The lemurs that ate and dispersed the seeds of the 30+ species of Canarium tree, are extinct, due to habitat destruction, change or hunting (all human-caused), and so these plant species are struggling to sustain their population without their mutualist lemur partners. How can we help primates and the other animals (and plants) that share their ecosystems? There are numerous charities that do good conservation work that we can contribute to via donating time or money. We can visit the primates and contribute to the Protected Areas and local ecotourism ventures. On a bigger scale, we can all make a difference, to the planet that primates (including ourselves) and all life that we know of lives on, by reducing our ecological footprint. How do we do that? Reducing fossil fuel consumption, by walking, cycling, and using public transport helps to reduce carbon emissions (and global warming). If we fly, consider carbon off-setting where, for example, we can contribute to a tree planting or habitat restoration scheme to balance the carbon emission from our flights. Eating and drinking produce farmed or manufactured locally also helps to reduce carbon emissions. Many primates, most notably orangutan, and other jungle-dwelling species, for example small cats, are threatened by conversion of their forest habitat to palm oil plantations. Palm oil is used in so many products that we consume. Avoid products containing palm oil or look for the sustainable palm oil badge on food that we buy. The meat and dairy industries make a major contribution to the global ecological footprint: reducing consumption of animal products (e.g. going vegan) makes a big difference in terms of individual environmental impact. To read more about primates and politics, visit my article, Dawn of ‘Trumpocene’ era spells disaster for world’s primates and the links within. If you want to learn about primates, and are in or around Edinburgh, then visit the Monkey Business exhibition at the National Museum of Scotland. Photos of Monkey Business are shown below. Bengal Slow Loris. Monkey Business. National Museum of Scotland. Golden Lion Tamarin. Monkey Business. National Museum of Scotland. Grey-legged douroucouli skull. Monkey Business. National Museum of Scotland. In the shadow of humankind. 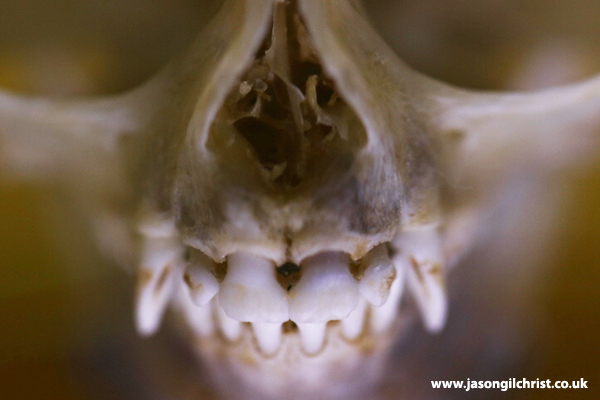 Primate skulls and bones. Some primates are under threat from hunting for bushmeat and traditional medicine. Monkey Business. National Museum of Scotland. Sulawesi Crested Macaque. Monkey Business. National Museum of Scotland. 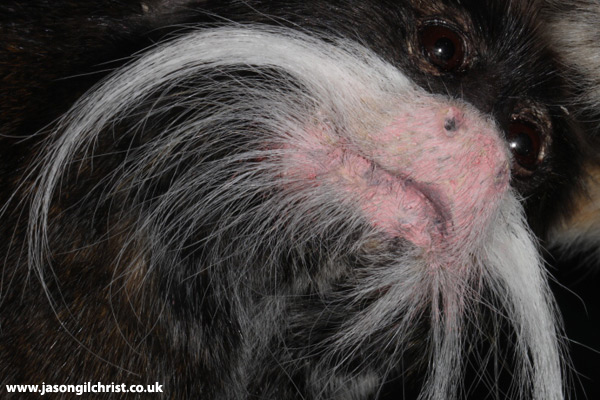 Emperor Tamarin. Monkey Business. National Museum of Scotland. 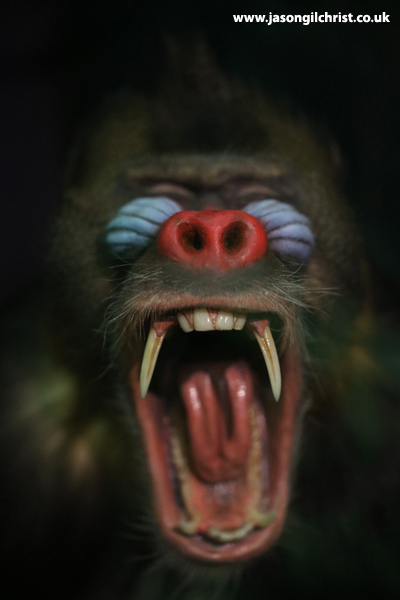 This is how I feel about the state of nature... Mandrill. Monkey Business. National Museum of Scotland. No animals were harmed for this exhibition. Primates. Monkey Business. National Museum of Scotland. The header image is a Monkey Business montage featuring, from l to r: Sulawesi Crested Macaque (Macaca nigra), critically endangered; Emperor Tamarin (Saguinus imperator subgrisescens), least concern; Mandrill (Mandrillus sphinx), vulnerable. Click here if you cannot see it. Check out the links below for more info related to Monkey Business, primate conservation, and how to reduce your ecological footprint. Read more about my primate research on the grey mouse lemur and chimpanzee.